What's included in our Dog Sitting Services? Complete Peace of Mind GUARANTEED! Entrusting the care of your beloved dog to someone else can be a very worrying experience, which we understand, having been in the same situation ourselves. We promise you that your dog comes first. Our care doesn’t stop once you’ve placed a booking, as we meet you in person every time your dog comes out on a Barking Mad holiday. We will personally take care of everything, until your dog is safely returned to you. We take the time to get to know you and your dog and do not believe in a ‘one size fits all’ approach. As professional dog sitters, we meet you face to face and make sure that we pay close attention to your pet’s requirements. During our first registration meeting, we listen carefully and detail all the information we gather from you and your best friend over a cup of tea. Once we have found out all about your dog, we make sure our host families properly match your dog’s needs, before each and every dog holiday. At Barking Mad, we take extreme care to make sure we are the best dog sitters we can be. We achieve this by recruiting only carefully selected host families, who are committed to providing first class care for your dog. Once our dog sitter hosts join our team, we don’t just leave it there and hope all goes well. For us, it’s an ongoing process. All of our carers are carefully inspected by us each time we deliver or collect a dog and as part of our local dog loving community we consider them our Barking Mad family. Our dog sitter hosts are dedicated to maintaining a schedule for your dog, as closely as possible to the routine they enjoy at home. Exercise regimes, feeding, all their likes and dislikes and any medical requirements will be catered for, just as they are by you. 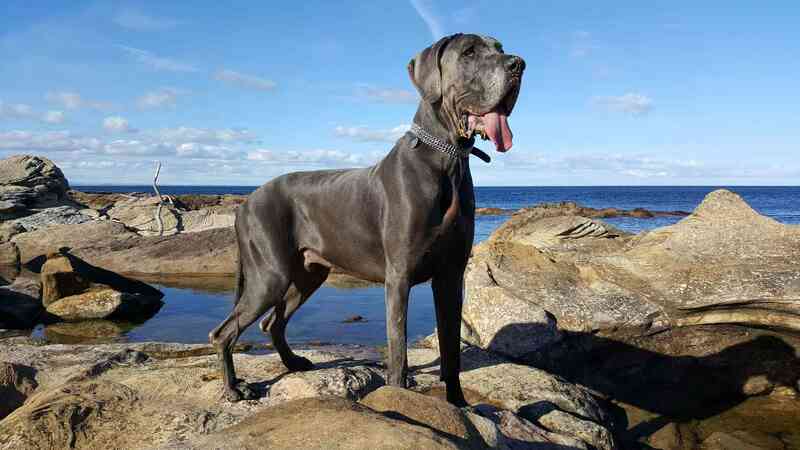 Your dog will be individually cared for, with a bespoke itinerary specifically tailored to their needs and preferences. Your dog can also take along any belongings they need, such as food, bowls, blankets and toys. We even provide a free doggie holiday bag! 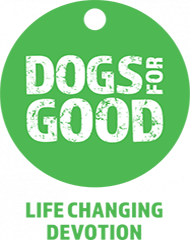 Our dog sitter service makes sure that our hosts spend time with your dog as they are based at home day-to-day and have no other long-term time commitments that take them away from your dog. They value the companionship of your best friend, just as much as you do. Whilst this consistent human company is important for all dogs, it gives that extra reassurance if your dog is very young, a senior citizen or requiring regular medication. We are on-hand, 24 hours a day, 7 days a week for our host sitters, to offer them any support they may require. We are your dog holiday organisers and are dedicated to providing peace of mind for all. Happy dog. Happy Holiday. Happy You! Dogs come in all shapes, sizes and ages and we love them all, whether they are pedigree, rescue or ‘Heinz-57’. 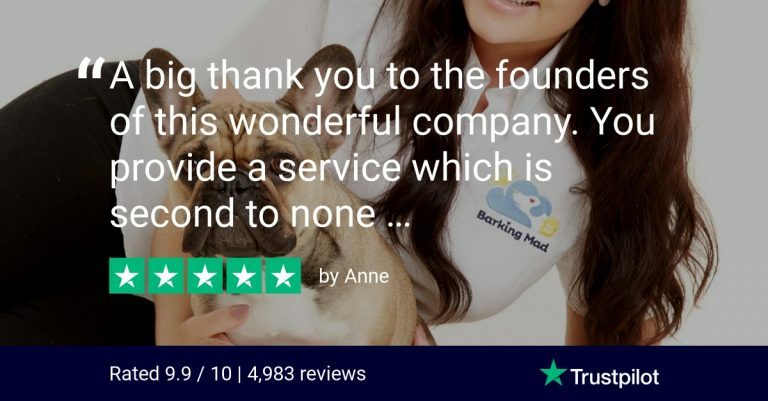 If you need to find a dog sitter, you can guarantee Barking Mad is the perfect match. We understand that it can be worrying leaving your dog behind when you go away. That’s why we send you a photograph of your dog as soon as they’ve settled with their host. The next day you’ll also receive a ‘Rest Easy’ update, giving you that little extra reassurance. Plus, your dog will return home with a postcard for you from us, your dog sitter, letting you know everything they’ve been up to. We consistently receive wonderful, positive feedback from dog owners, which is testament to the personal dog sitting service we provide. Read some of our lovely customer reviews below.